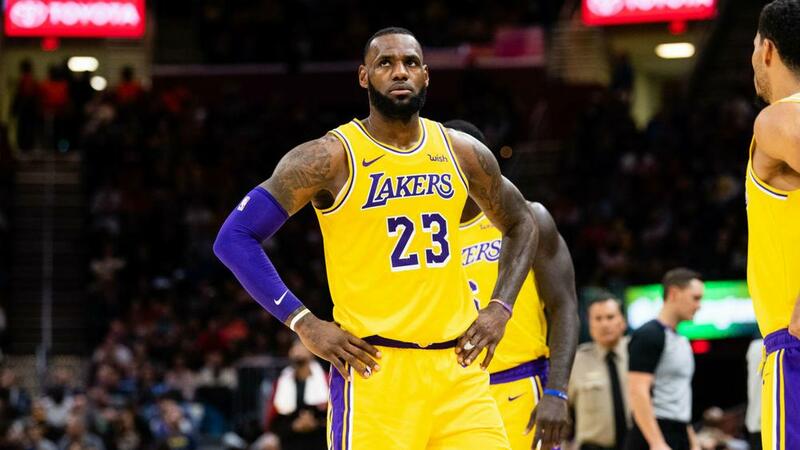 LeBron James had 28 points, 11 rebounds and 16 assists for the Los Angeles Lakers, who crashed to back-to-back defeats on Tuesday. A LeBron James triple-double was not enough as the Los Angeles Lakers were upstaged 117-113 by the Atlanta Hawks in the NBA. James had 28 points, 11 rebounds and 16 assists for the Lakers, who crashed to back-to-back defeats on Tuesday. The three-time NBA champion tied Wilt Chamberlain for fifth most triple-doubles in league history, but Atlanta's young talent proved to be too much. Rookie Hawks guard Trae Young and second-year forward John Collins tallied 22 points apiece. Young also posted 14 assists against the Lakers. Meanwhile, the Boston Celtics held on to beat the in-form Philadelphia 76ers 112-109 on the road. The Celtics did not have star point guard Kyrie Irving, so Al Horford took over the scoring load with 23 points. Gordon Hayward also chipped in 26 points off the bench. Joel Embiid recorded 23 points and 14 rebounds in the loss, while 76ers team-mate Jimmy Butler added 22 points and nine rebounds. Nikola Vucevic recorded 25 points and 17 rebounds in the Orlando Magic's dominant 118-88 win over the New Orleans Pelicans. Avery Bradley scored a career-high 33 points as the Memphis Grizzlies lost to the San Antonio Spurs 108-107. Kevin Durant posted 28 points and seven assists in the Golden State Warriors' 115-108 victory over the Utah Jazz. Marcus Smart scored eight points on three-of-14 shooting for the Celtics. Jayson Tatum split the defense with a spin move and capped it off by punching home a dunk for the Celtics. Young dished out assists left and right in the Hawks' win over the Lakers. The Sacramento Kings are trying to stay afloat in the Western Conference, while the Denver Nuggets are toward the top of the standings. Both teams feature promising, athletic players that run the floor nonstop. This matchup should be an entertaining one as the All-Star break approaches.